Very nice design that's perfect for minimalists, although the carbon fiber print looks a bit cheap. Screen protector is great, covers the entire screen of the phone yet still compatible with other cases I've tried. Being used to a phone with a smaller display, often the SN9 felt ungainly in my hands and kept tipping over. It’s true the Sentinel gives the phone a bit of heft but personally i think it helps with the weight distribution. I like how the phone feels in my hand now. I really love how smart and sleek my phone looks with the Sentinel - all black. I keep picking up my phone to admire it. Really happy I chose the Sentinel. 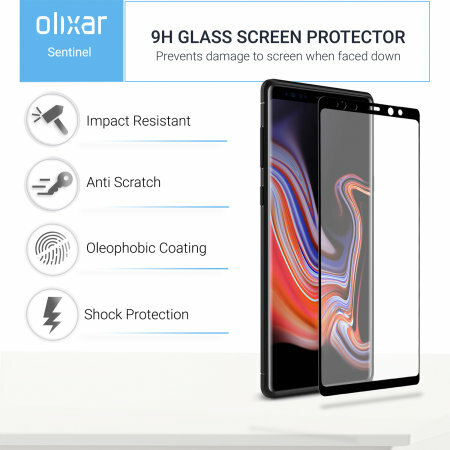 Protect your phone from scratches, knocks and drops with the Olixar Sentinel for the Samsung Galaxy Note 9. 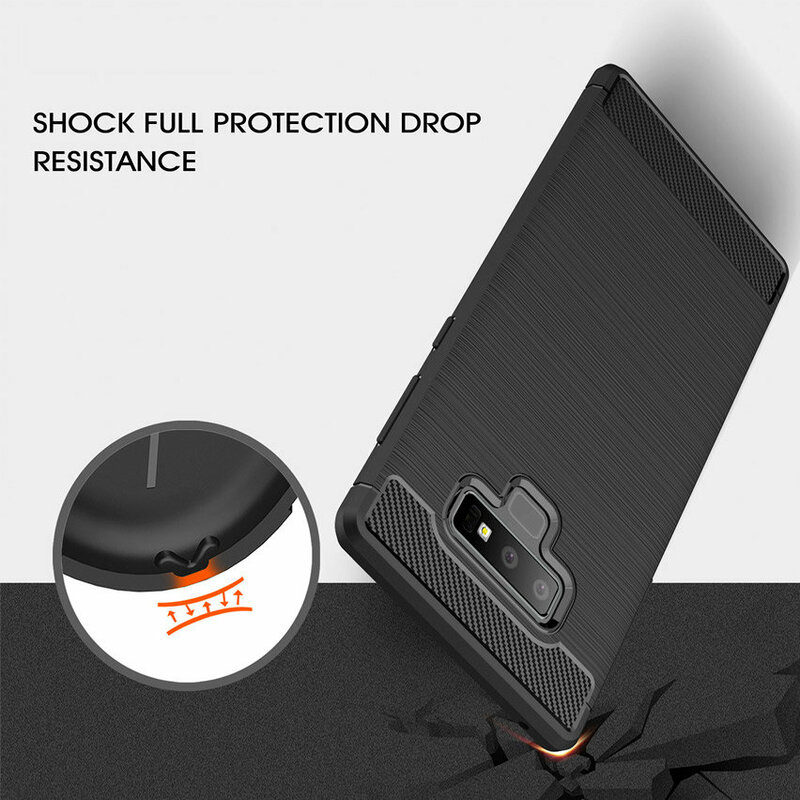 Featuring a rugged, flexible, textured TPU body and that is tough enough to protect your device, without adding unnecessary bulk. 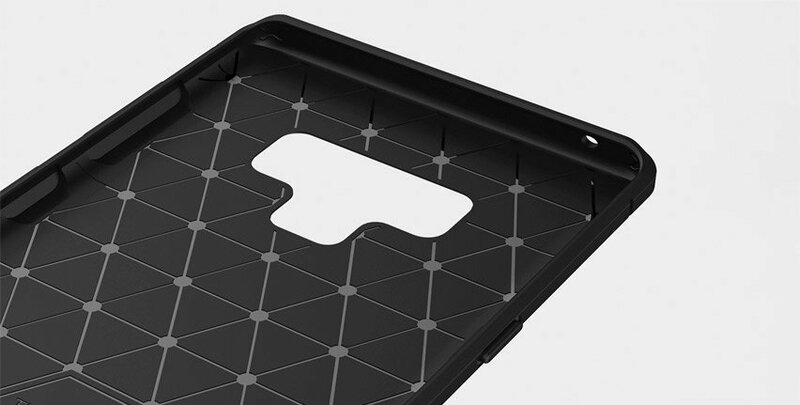 The flexible and robust TPU core features shock absorbing strength allied with a stunning carbon-fibre and brushed metal style finish on the back. The inner patterns also help deflect shock force and aid heat dissipation. 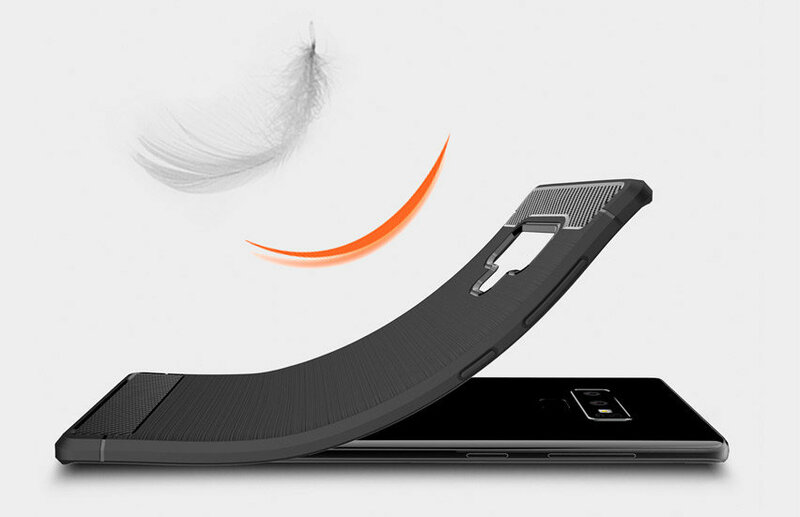 The Sentinel delivers exceptional protection in a stylish slimline package. 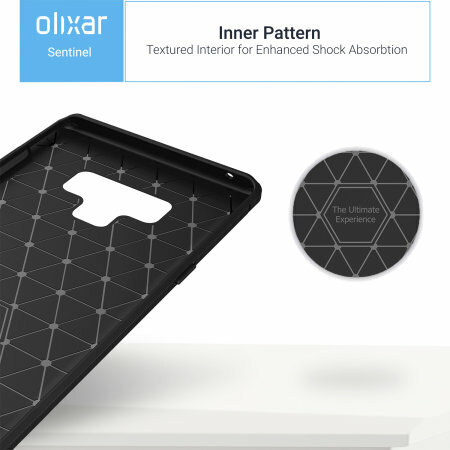 Made from a flexible TPU inner core, the Sentinel has been designed with phone safety in mind with a design that absorbs shocks and impacts, keeping your Galaxy Note 9 safe and secure at all times. 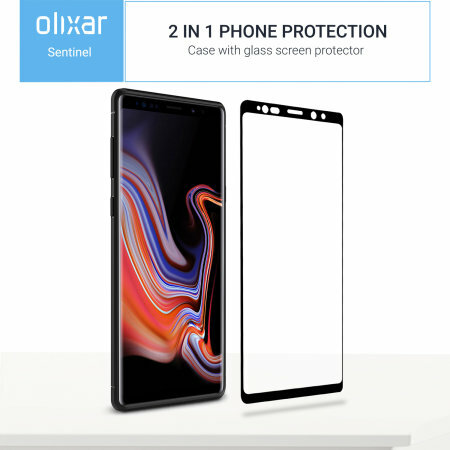 The upper and lower edges are purposefully deeper than the screen, providing some screen protection when placed face down or if it should fall face first. 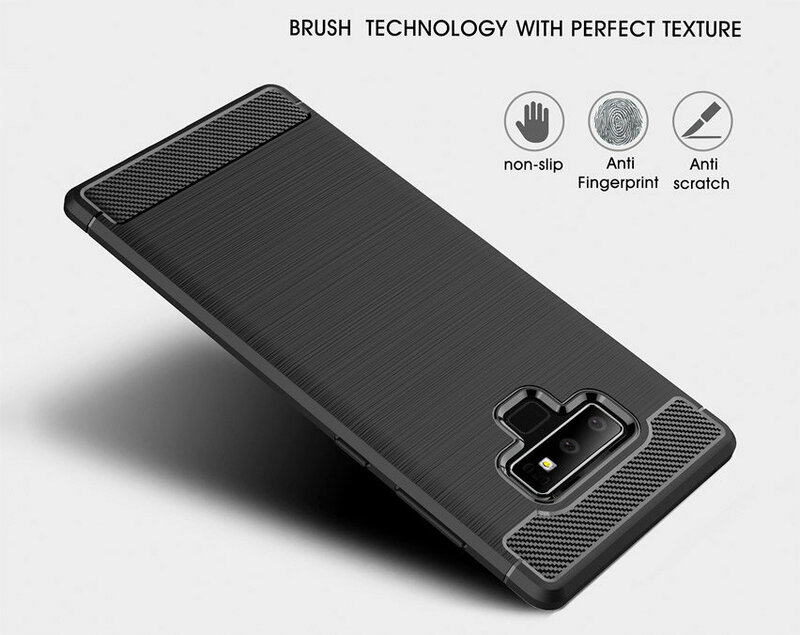 Built to last and to look good, the Sentinel features a textured carbon fibre and brushed metal effect design that accentuates the beautiful design of your Galaxy Note 9. Looking good is one thing but the main functional benefit is grip. This textured method offers a more secure grip, meaning it will stand up to a beating from every day wear and tear, but if you have a better grip, you're far less likely to drop your phone. This is a great first line of defence, often overlooked. 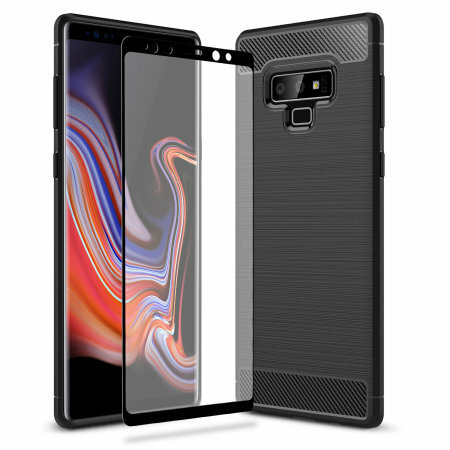 Made from a precision cut single layered piece of TPU, the Sentinel case fits precisely around your Galaxy Note 9 for a smooth, contoured fit. 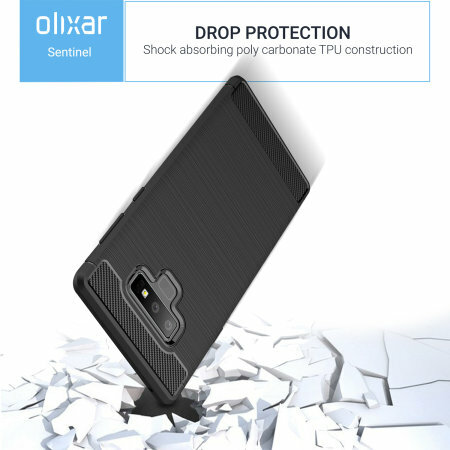 Both lightweight and slim, this case from Olixar is sure to keep your Note 9 bulk-free whilst well protected. 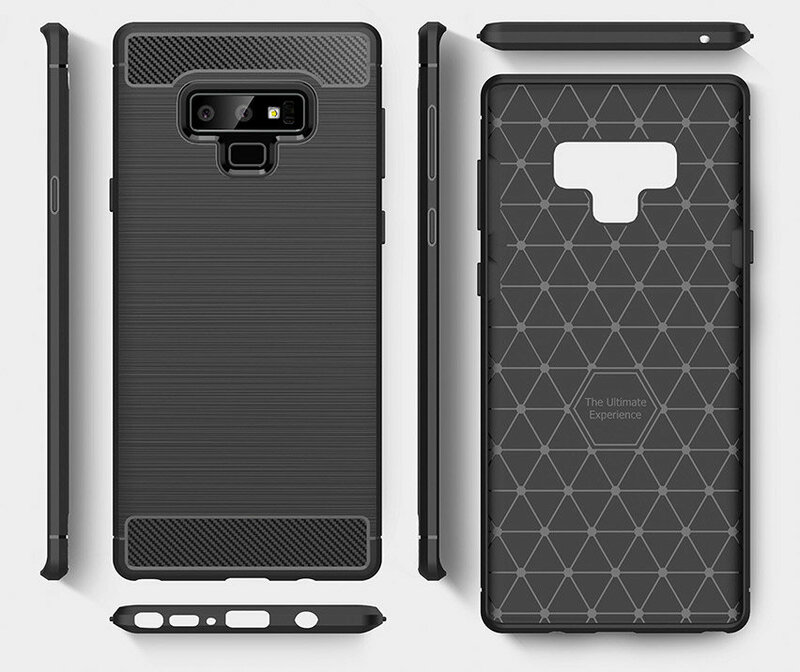 The Sentinel complements your Note 9 perfectly, while providing sufficient protection for the Note 9's vulnerable cameras. The case also features cut-outs for the ports and features of the Galaxy Note 9, including the dock connector, S-Pen, function buttons and cameras.